This revised and expanded edition charts the development and service of Russia's famous Cold War-era strategic bomber, the Tupolev Tu-95 Bear. The unique Tu-95 is the only prop-driven strategic bomber still in operational use today. 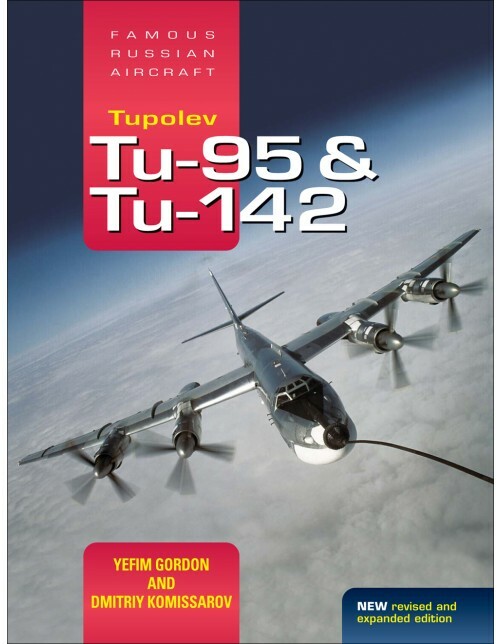 Covering all versions of Tu-95 and its Tu-142 naval patrol variant, this in-depth book features tech drawings and color profiles, as well as many previously unpublished photos. First flown in 1952, the Tu-95--known to the western world as the Bear--had its share of teething troubles with a change of engine type being necessary before the aircraft could go into production. Eventually, however, it became the backbone of the Soviet strategic aviation, in spite of having a competitor in the shape of the four-turbojet Myasishchev M-4 and its 3M series of derivatives. The Bear filled such roles as nuclear bomb delivery, cruise missile strike and long-range maritime reconnaissance. It later evolved into an anti-submarine warfare aircraft that was different enough to have a separate designation, Tu-142. Moreover, the Tu-95 also served as the basis for the first Soviet intercontinental airliner, the majestic Tu-114--which, in turn, evolved into the first Soviet AWACS, the Tu-126. More than 500 Tu-95s and Tu-142s were built for the Soviet Air Force and the Soviet Navy in over 50 versions. 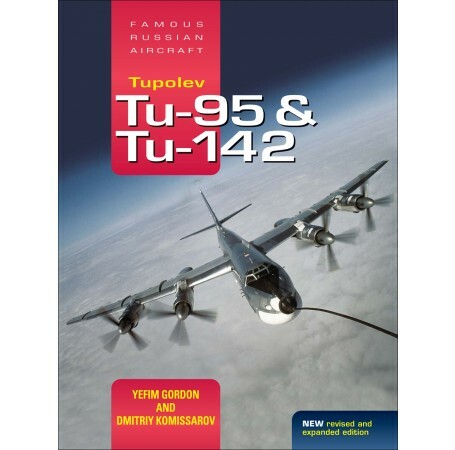 This book charts the Tu-95's development and service history from the 1950s to the present day, featuring fully revised and updated material. All known versions are described with detailed line drawings, color side views and many previously unpublished photos, to provide a comprehensive insight for modelers and historians alike. "This massive monograph is the only Tupolev Bear book you need. Better yet, Crecy's stunning survey deserves pride of place in every library of modern warplane references. Roundly recommended!"